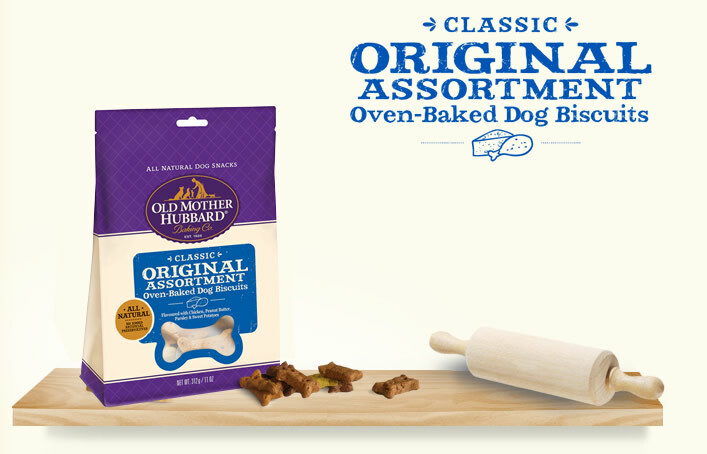 Our classic Original Assortment bone-shaped biscuits include P-Nuttier, Scrumptious, Just Veggin’ flavors. Whole Wheat Flour, Ground Barley, Ground Brown Rice, Wheat Bran, Oatmeal, Cane Molasses, Chicken (4%), Chicken Meal, Chicken Fat, Peanut Butter (3%), Rapeseed Oil, Dried Apples, Maltodextrin, Dried Carrots, Full Fat Linseed, Ground Peanuts, Dried Parsley (0.4%), Whole Dried Egg, Sea Salt, Garlic Powder, Turmeric, Dried Sweet Potatoes (0.10%). Every dog is a little different, so optimal feeding amount may vary with age, size, activity level, breed and environment. Please use the information below as an initial recommendation only and adjust as needed.